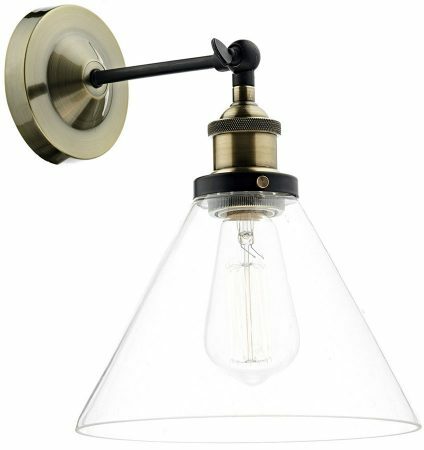 A clean-lined industrial wall light finished in antique brass, with a circular ceiling mount, matt black lamp support arm and antique brass lamp holder. A clear glass flared cone shade with a matt black top collar completes the industrial design. A great choice for the modern or traditional hallway, bedroom or living room alcove and capable of accepting an energy efficient lamp to help reduce running costs. Other products in the Ray industrial lighting range can be viewed below and include a three lamp ceiling light and a single ceiling pendant.